Kit-chen helpers! 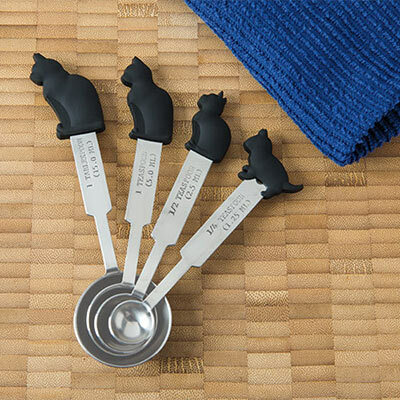 Cat lovers and cooks alike will love this whimsical Kitty Cat Measuring Spoons set. Stainless-steel spoons are each accented with a different kitty perched on the handle. Dishwasher safe. Set of 4 includes tbsp, tsp, ½ tsp and ¼ tsp.